As a charity, we are always looking for financial contributions to support the valuable work we do in helping adults with dyslexia. If you feel you could help us with either monetary donations or volunteering your time, please see the opportunities below. We are proud of our volunteers who help with a range of activities – tutoring on literacy and evening classes and administrative tasks. We are always happy to welcome new people with different skills. At present we are working hard on marketing our commerical services and would welcome anybody with business, marketing and financial skills. Come and join our team of trustees. This does not have to be onerous with only three scheduled meetings per year, but we always welcome new people to our team. One of our trustees completes a half marathon for us every year and two supporters have done long distance walks. Each September a group of members of the Centre complete the Maidenhead Boundary Walk. These supporters have raised over £10,000 for the Centre over the last four years and we are very grateful to them. Why not do something to support us? If you shop online you can raise money for us every time you shop. Major retailers offer up to 5% of your spend and send it direct to our account with Easy Fundraising. 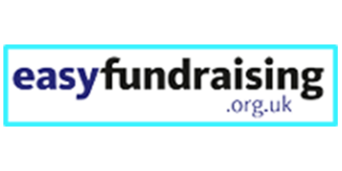 All you need to do is to go to Easy Fundraising website and set up your account – only your email and a password. Every time you shop you go to the Easy Fundraising website, log in and then find the retailer you want to buy from. It is easy to do. We have raised over £1000 in the last 3 years with only 40 supporters. You can donate money to us through the link at the bottom of this page, or click here.